In theory, team building activities allow your creative team to learn how to work together to solve problems in a fun, un-work-like setting. In reality, the mere suggestion of team building draws groans from the office. Team building activities have a solid reputation for being impractical, weird, and pretty cheesy. It can be hard to find balance between teamwork that actually works, and teamwork that’s just Thirsty Thursday’s collaborative effort of emptying the beer fridge. But fear not! It’s not impossible. Here are some FP-tried-and-tested team building activities that your team will actually enjoy. No trust-falls here, we promise. Volunteering for a good cause encourages your employees to problem-solve within the community they live in. Let your team make a case for which charity they’d like to support and how they’re going to go about it. Whether you end up organizing a coat drive in the office or cleaning up the beach, finding passion behind team building is a good way to get the ball rolling. A scavenger hunt is one of our personal favourite team building activities because it can be as creative, clever and chaotic as you want to make it. Whether you’re setting up a mini hunt within the office or an epic destination hunt across your downtown area, this activity is a sure-fire way to get your team revved up. All you need is a list of activities to hunt, and at least one smartphone per team to grab photographic evidence. While the traditional scavenger hunt tends to rely on speed, we prefer putting a creative spin on things by awarding additional points for the most creative photos taken. Looking for more inspiration? Check out our 6th annual scavenger hunt recap. This is a particularly great game to play with creative teams if you want to inspire friendly competition. Divide into two teams and assign each team a “this” and a “that” challenger (for example, cats VS dogs? Superman VS Batman? Shark VS tornado?). Each team will have the opportunity to research their argument, compile their findings and present their results to the rest of the team. This challenge allows creative teams to practice all elements of a creative project in a fun, playful setting. Project manager tip: this is a great way to productively burn time if you’ve ever budgeted time so perfectly that you have a few spare creatives milling around on a Friday afternoon (hey, crazier things have happened). If your organization uses Slack, consider integrating Donut.ai, an easy company culture tool that randomly pairs members of different teams to meet up for a coffee. It’s a great way to encourage different departments to mingle in a social setting and has been known to spark some pretty creative conversations when different minds meet. This is the ultimate hands-off team building activity because whether or not they actually go is up to them. But if you’re looking to incentivize it, consider offering to cover the cost of the donut, or inspire friendly competition with a monthly donut-selfie contest. 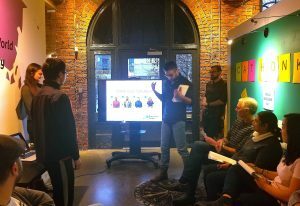 In December at FP, we capped off the year with a “hackathon” event. A hackathon is an intensive, sprint-like event where colleagues brainstorming and collaborate to solve a problem. Our mission this year? To better understand value: as it applies to our customers, to the market, and to ourselves as Function Pointers. 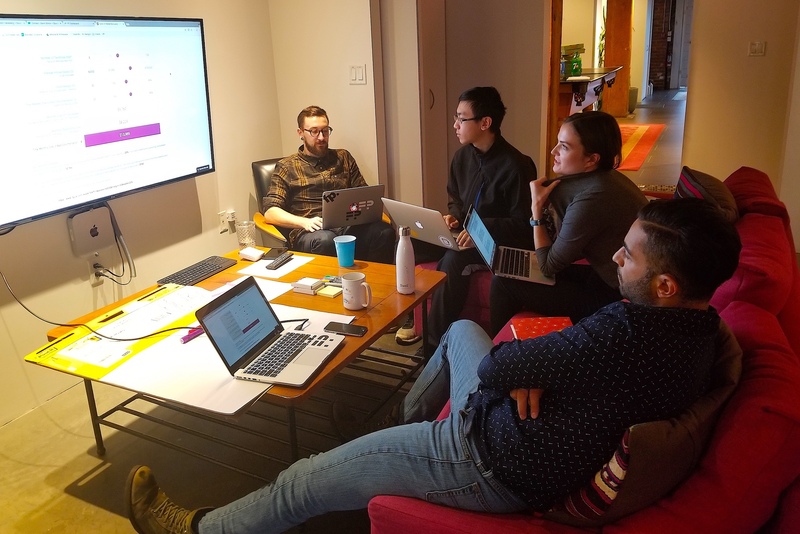 The entire company spent an afternoon working within cross-functional teams to bring new ideas to life with prototypes and conceptualizations for how we can bring new value to the company. The end results were so great that we’ve actually included the winning prototype from the event into our product roadmap for 2018. This is probably the most “team-building-y” activity you’ll find on this list, but we promise it’s well worth the laughs. All you need is various office supplies and a dozen raw eggs. Divide your selected teams (anything from pairs to a group of five works) and offer them a selection of office supplies: tape, pencils, plastic utensils, rubber bands, packing materials, etc. Give each team 15 minutes to design a contraption that will prevent the egg from breaking when dropped from the second or third floor of your building. Pro tip: ensure you have someone on ground level to make sure nobody gets hit with a flying egg. Let us know if you try any of these! We’d love to hear about your own team building successes (or failures, if they’re funny). 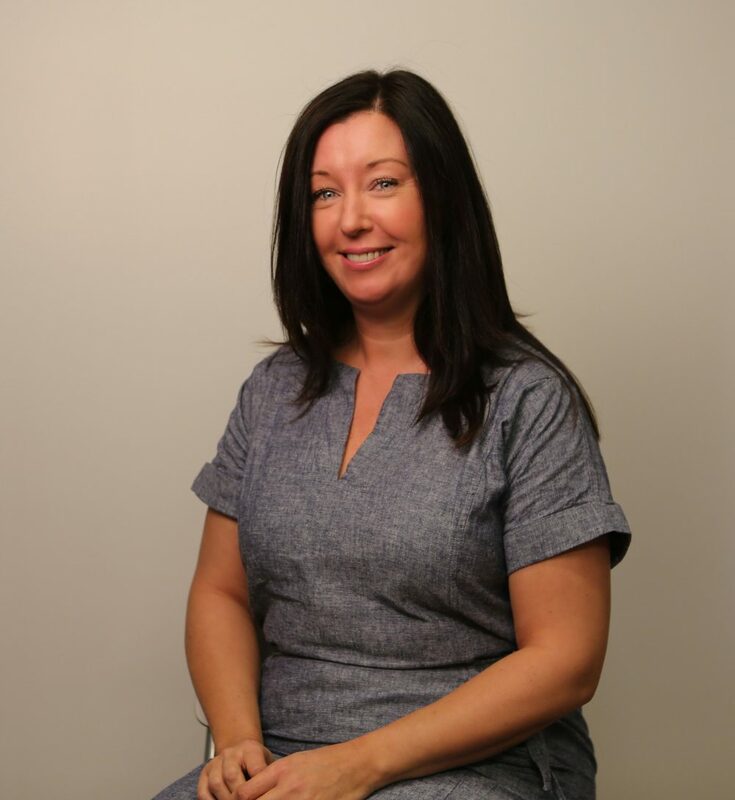 Tracey is the Human Resources Manager at Function Point. Originally from the UK, she is passionate about promoting an engaged workplace culture, where people are encouraged to do great things.